How To Run Whatsapp On Pc Laptop Using My Apple iPhone – Without Jailbreak Not Possible . 1 How To Run Whatsapp On Pc Laptop Using My Apple iPhone – Without Jailbreak Not Possible . 1.1 How To Sync Whatsapp web With Apple Iphone ios . 1.1.1 How to activate Whatsapp Web feature With An Apple iphone . Using A Apple ios iphone ? And want to run Whatsapp Web on Pc / Laptop using apple iphone ? Then you are at right place . Today we will tell you How to sync your apple iphone with whatsapp web without jailbreak ( not possible ) . 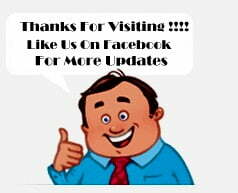 Whatsapp web is a Service which let users allow to use whatsapp on Their laptop pc .Basically Whatsapp for web was made for those type of people who are always busy on laptop computers doing office work and also dont want to miss messages from their near and dear one’s , so with the help of whatsapp web they can easily manage both work and chat together on just a single screen instead of Unlocking the Smartphone and then reading the text again and again . Okay now without wasting much time lets head over to Our Guide How to sync Whatsapp Web with apple iphone without Jailbreak . 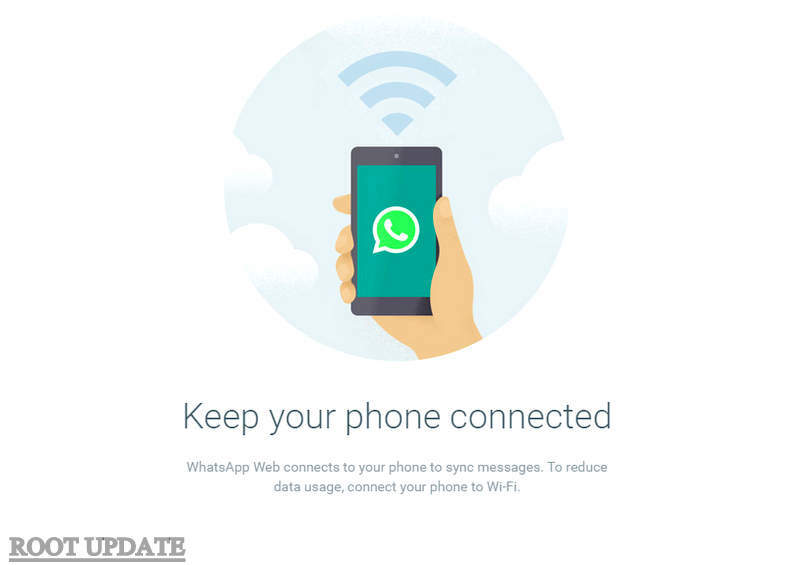 How To Sync Whatsapp web With Apple Iphone ios .  Usually Apple ios is the first platform to get any Game or any Updated app But when it comes to Whatsapp , Apple Has to always Suffer . But Just like The Whatsapp Calling Pre-Activation for Iphone we this time also Found a Solution For Iphone users To use Whatsapp Web . 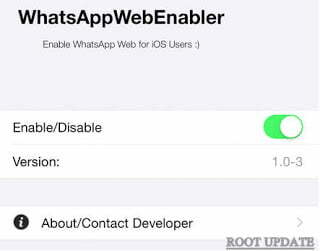 Okay now Without wasting much time lets head over to the guide on How to activate whatsapp web for Apple iphone . How to activate Whatsapp Web feature With An Apple iphone . As I told earlier That Enabling Whatsapp Web Without Jail breaking Iphone is impossible unless it is official So To Activate The Whatsapp Web You should Be on a Jailbroken apple Iphone . You Should Be On A Jailbroken Iphone . Make Sure you Have Latest version Of whatsapp Installed on Your Apple iphone . Download It And Install It . Now After enabling The Whatsapp web Enabler , Minimise It . Now head Towards the settings and find Whatsapp . Open Whatsapp In Settings and Choose Force stop / Force Close . Turn It On Again . It will take some time to load and generate the qniuque qr code . Goto Whatsapp In Your iphone and Choose whatsapp web . 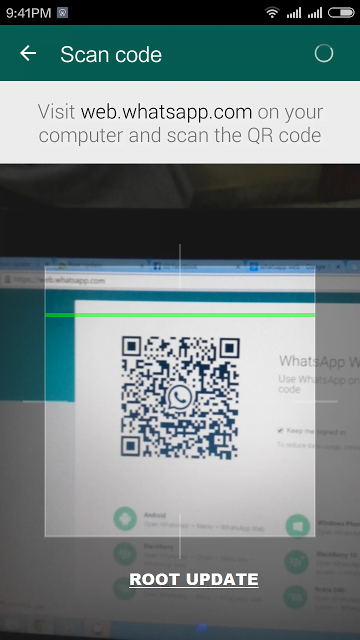 After you choose whatsapp web , A Scanner will automatically open . 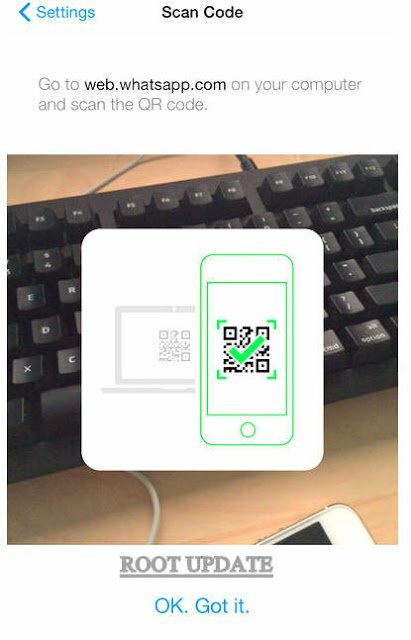 It will take just 2 or 3 seconds to scan and sync , After the successful completion of the scanning process you will Notice a small vibration from your iphone and just after the vibration the whatsapp web for iphone will get activated . Now it will take some time to load your text and media files on the desktop version . So that’s all You have successfully activated whatsapp web for apple iphone . So This was Our guide on How To Use Whatsapp web With an Apple iphone On Pc / Laptop , I hope This Guide Helped You In Activating Whatsapp Web with your apple iphone .